A Southwest Airlines plane prepares to land. NEW YORK (CNNMoney) - Passengers are still turning away from Southwest Airlines after its fatal accident in April. 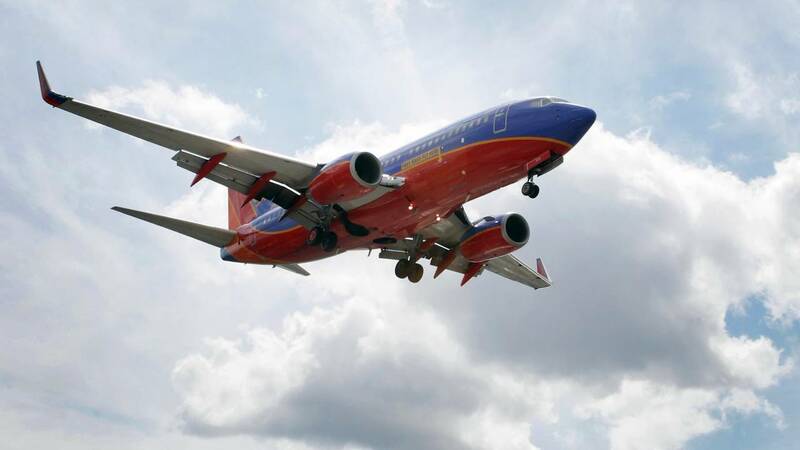 Southwest said it expects bookings to fall this quarter at the higher end of its expectations. The airline said customers have purchased fewer tickets because it pulled advertising after the accident. The company had said in April hat the accident scared some people away from buying flights. But bookings are even worse than expected: It now expects revenue per mile flown to fall about 3% in the current quarter. Southwest had previously said it expected sales per mile to fall between 1% and 3%. Southwest also said it will expand its capacity less than it previously planned for the remainder of the year. The company cited "current revenue trends and higher oil prices." A passenger was killed on a Southwest flight on April 17 when a fan blade broke off of an engine, and shrapnel shattered the window she was sitting next to. She was partially sucked out of the plane. U.S. airlines typically pull their advertising in the wake of fatal accidents. The fatality was the first on an American airline since 2009.